Japan will always be associated with Mt. Fuji. At 3,776 meters, Mt. Fuji or commonly called Fuji-san, is the highest mountain in the country. This iconic landmark is an active stratovolcano that last erupted in 1707-1708 and lies about 100 kilometers southwest of Tokyo. On clear blue skies, the volcano is quite visible even from Tokyo. There are vantage points within the city, which makes it visible to guests even without the hassle of traveling afar and trekking the high mountains. Direct flights from Manila to Tokyo, which I usually book through Cebu Pacific Air, also gives a good vantage to have an unobstructed direct view of the Mt. Fuji above the clouds. I am yet to experience this one, as I am usually in deep slumber while on flight. But a lot of passengers were able to experience and share it already on social media, even with other flight itineraries of different airlines. While in the city, the Unlimited Tokyo Subway tickets booked from Klook makes Mt. Fuji now within reach. This is for guests without the JR Pass. The unlimited journeys on all Tokyo Metro and Toei Subway lines may be for 24, 48 or 72 hours, depending on one’s choice. And with that, here are some of the vantage points and observatories that we have visited in the quest to have a peek of Mt. Fuji even from a distance. Behind the skyscrapers of the Shinjuku District, Mt. 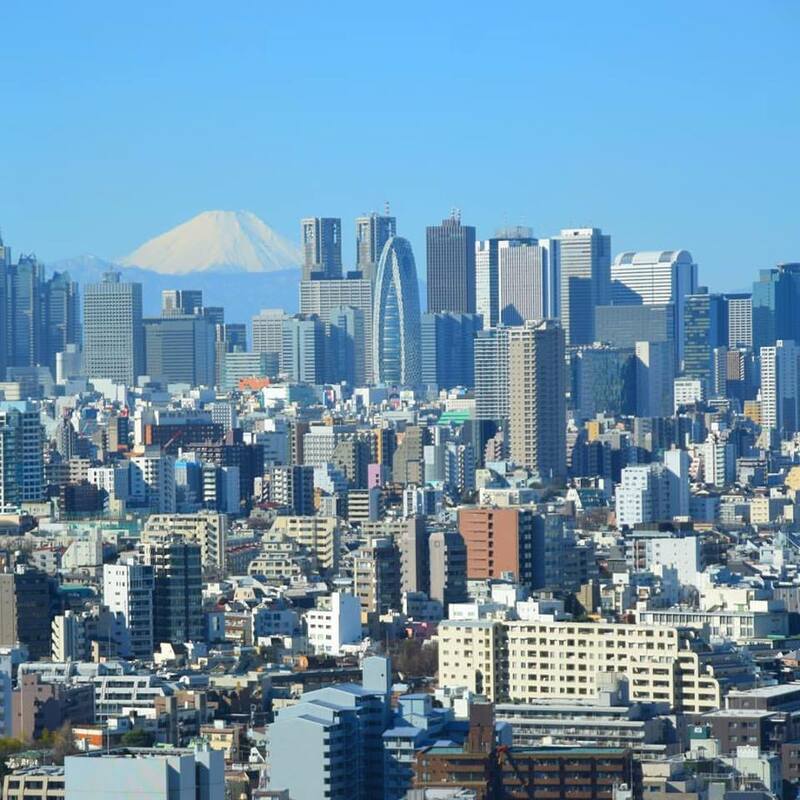 Fuji can be seen as looming large, when viewed at the observatory of the Bunkyo Civic Center. Admission is free and it is situated at the 25th floor of the building. To avoid indoor lighting reflection, the encased tilted glass windows is a great help for photographers and hobbyists to capture the perfect postcard view of Tokyo’s iconic landmarks. Operating hours is from 9AM to 8:30PM. It is closed from December 29 to January 3 and the 3rd Sunday of May. Hakone is a popular tourist destination as a side trip from Tokyo City. It is a resort town at the edge of Mt. Fuji known for the many hot springs (onsen) and traditional Japanese houses (ryokan). But apart from which, it can be one of the best vantage points to view Mt. Fuji. 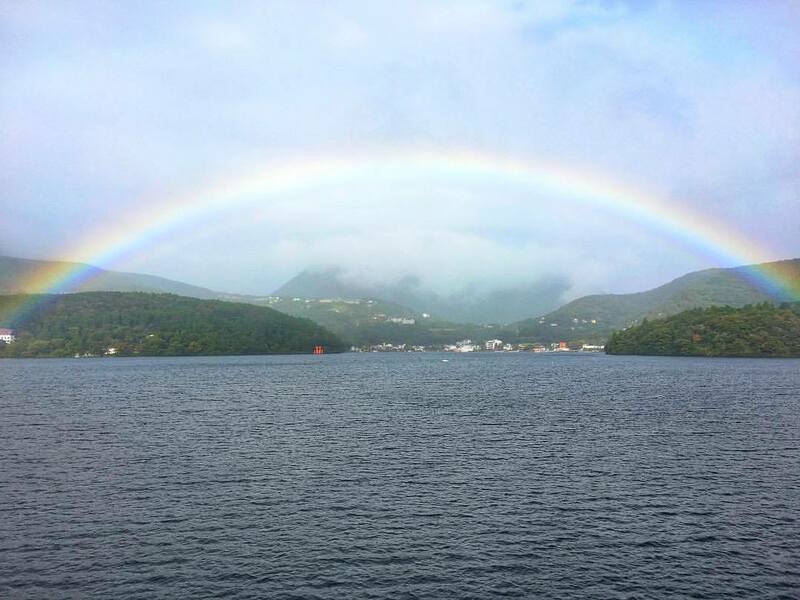 The cruise at Lake Ashi is a scenic route to view the iconic landmark. Unfortunately, there was a typhoon when we visited Hakone. Tokyo Subway: Tokyo Shinjuku Station to Hakone-Yumuto Station through the Odakyu Railway. The best option to reach Hakone is to book for the Hakone Pass. It includes roundtrip from Tokyo to Hakone and unlimited use of selected trains, cablecars, ropeways, boats and buses in the Hakone area. As part of the Shunjuku’s skyscraper district, the 243-meter tall Tokyo Metropolitan Government Building (Tocho) houses two observation decks, one in each of its towers. The observation decks are of free admission and situated at the 45th floor of each tower. Key buildings and landmarks are likewise visible and a photo map serves as guide at the observatory. Mt. Fuji is visible on a clear day. Tokyo Subway: Shinjuku Station with 12-15 minute walk. More accessible thru the Toei Oedo Line on Tochomae Station, which is a 2-minute walk to the observatory. Fuji-Q Highland is Japan’s most famous amusement park at the foot of Mt. Fuji. There are scenic spots designated where Mt. Fuji can be best viewed. But even enroute, the train ride can give passengers a peek of Mt. Fuji. View of Mt. Fuji from the train to Fujikyu. Tokyo Subway: Shinjuku Station. Transfer to the JR Line (Shinjuku to Otsuki Station). From Otsuki Station of the Fuji Express Line, disembark at the Fuji Q Highland Station.